The Allied Congress Party of Nigeria ACPN has reacted to the withdrawal of its Presidential Candidate, Dr Oby Ezekwesili from the February 16 Presidential Elections. 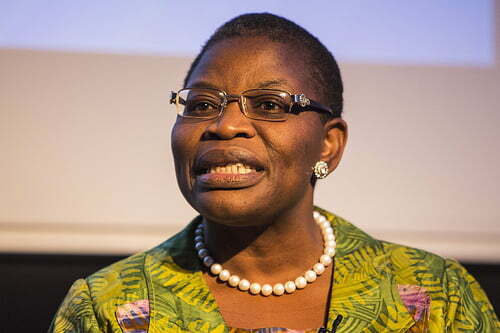 DAILY POST had reported that Ezekwesili in a statement on Wednesday said she stepped aside from the presidential race to help build a coalition to defeat the All Progressives Congress and the Peoples Democratic Party in the February 16, 2019 election. According to her, her decision to withdraw from the race followed extensive discussions with Nigerians at home and in the Diaspora and an examination of the countryâ€™s electoral environment sequel to the 2019 presidential debate of Saturday, January 19, 2019. But reacting, the party in a press conference on Thursday while accusing Dr Ezekwesili of using its platform to negotiate a ministerial position in the next political dispensation, said Ezekwesili did not consult them before withdrawing from the race. Addressing the press, partyâ€™s National Chairman and running mate to Dr Ezekwesili, Alhaji Ganiyu Galadima, National Secretary, Chief Paul Isamede, Deputy National Chairman, South, Otunba Bosun Omosule and his counterpart for the North, Alhaji Ibrahim Goronyo said they received with consternation but not surprising Ezekwesiliâ€™s withdrawal which was to preempt the decision that the party would have reached after its meeting on Thursday. The party added that they intended to withdraw her candidacy and give to somebody else. â€œShe only preempted the decision we would have reached today which was to withdraw her candidacy and give to somebody else. â€œOur presidential nomination ticket is N10 million and expression of interest is N500, 000 but when she came she said she did not have money, that she only had N100, 000 and because we wanted to encourage women, we gave her our platformâ€, said Mr Galadima. â€ The ACPN has declared itâ€™s support for the reelection of President Muhammadu Buhari of the All Progressives Congress APC, â€ he said.